It’s used as an insult – ‘bird brain’ – not very bright. But new research means this may no longer apply. This film shows how bird intelligence can even be compared to that of the apes. Pinyon jays form the largest social flocks of any bird and the social relations in these flocks are complex. Social interactions are thought to have been part of the reason why intelligence evolved in apes – which makes pinyon jays in their large societies a kind of ‘super-ape’. Magpies have joined the elite of animals that have passed the mirror test for self-awareness. 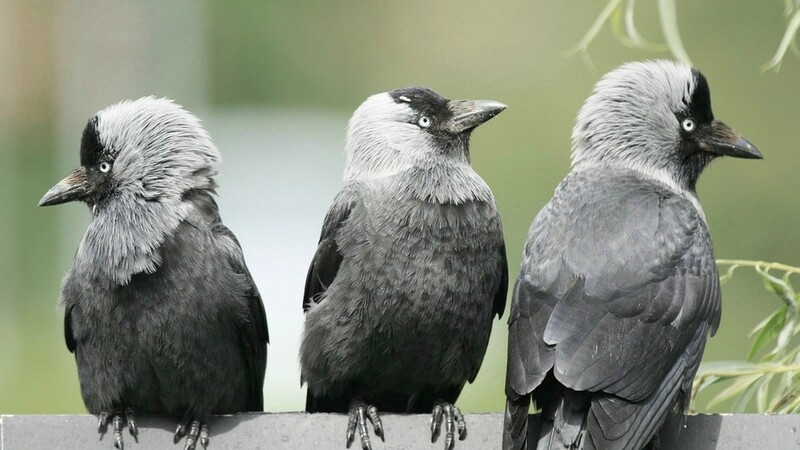 The crow family has also joined another exclusive club – that of tool users – previously thought to be confined to the great apes. And New Caledonian crows not only use tools, but also make tools for specific jobs. Further parrot research has shown that blue-fronted Amazons, Hyacinth and Lear’s macaws can all complete the string-pull test as well as ravens. And their social lives are just as sophisticated. For example, it’s been discovered that spectacled parrotlets give their offspring names. But king of the parrot minds are New Zealand’s keas. These mountain parrots not only complete the pull-string test, but can do it with extra strings thrown in to confuse the matter. So are keas the most intelligent of the birds? Not necessarily. Research in Austria has shown that ravens will purposely bury an object in front of an observer to see what they do. If the observer raids the cache then the raven changes his behaviour next time. Further research has shown that ravens will change their position to see for themselves what others are looking at. With a combination of wild observations and specially designed tests, this film will guide us through the latest research on bird intelligence, a journey which will re-define the meaning of ‘bird-brained’.